a value-capturing phase, where that information is used to create or improve business value. The first phase is typically cost only, while the second phase should result in either an increase in revenue, or a reduction in costs, albeit while still incurring some on-going running cost. A positive ROI is obtained when the value-capturing phase delivers more business value or cost reduction to the business than what phases one and two cost together. The complexity in the ROI gaugement processes is that these two phases often overlap, and if you’re not very disciplined, the measurement of business benefit is quite hard to do. We often have to gauge or justify the ROI on BI initiatives. For a greenfields new initiative, it often starts with a business case, and then tracking the implementation, deployment and finally the business utilisation against that business case. That’s still relatively straightforward. The complexity comes in when you have to determine the ROI to justify the existence of a costly BI initiative that has been running for years already. Some of the costs are often lost in a smudge of capex vs opex expenses, while the resource and contracting costs are spread over a number of unclear cost centres. The “value” side is even harder to determine. How do you assign “value” to the monthly sales report dispatched to the executives? Who knows at this stage far down the track which decisions it has influenced? And if so, to what effect? The BI initiatives that can contribute to an increase in revenue are the most well known ones: identify and acquire new customers; increase “share of wallet” – i.e sell more to existing customers, for example through cross selling; empower the sales force to sell more or quicker; and finally, making money from the information itself – for example by reselling customer demographic information or customer buying patterns – that is, if your data privacy governances allow it. A related initiative is to identify new or wider market opportunities and to increase the market range or penetration. These all may be well- known business development activities, but the related information gathering and insight generation isn’t always that easy. For example to identify cross-selling opportunities you typically need to segment the customer base in revenue-related segments, identify suitable and profitable products and then calculate the likelihood of cross-selling those products into those customer segments. So it is a very straightforward business concept, but it requires 3 tightly integrated advanced analytical models applied to a substantial data set to make it happen. The BI initiatives that can contribute to cost savings include reporting on costs in order to identify and reduce excessive overheads; and identifying wastes that can be reduced, where both of these are examples of “what isn’t measured, cannot be managed”. The cost reductions can also be related to the BI initiatives themselves, or the outputs produced – for example reducing the number of unnecessary layers of data duplication in the data warehouse environment can lead to direct cost savings in storage capacity required and processing time consumed. By providing more and better information on-line and through interactive and communicable interfaces and devices, a lot of paper wastage can be reduced or eliminated. The third class of value-affecting BI initiatives contribute to improving efficiencies and streamlining operations – i.e. oiling the wheels so that the engine runs better, faster or cheaper. This is done by measuring and analysing business processes to eliminate unnecessary delays and costs, for example optimising delivery truck routes, or shortening manual claims auditing cycles. Improving efficiencies can also be applied to the BI processes themselves – for example, by reducing data delivery delays through a more streamlined architecture, better information can be provided to decision-makers in shorter timeframes, also reducing the number of people who need to manipulate the data before it becomes useful decision-making information. How often haven’t you heard the phrase: “the analysts are too busy preparing the data, so they don’t have time to analyse it”? You will notice that I put “directly” in italics above. These three areas are where BI can directly affect the so-called bottom line. There are, however, other ways in which BI can also contribute to the organisation. 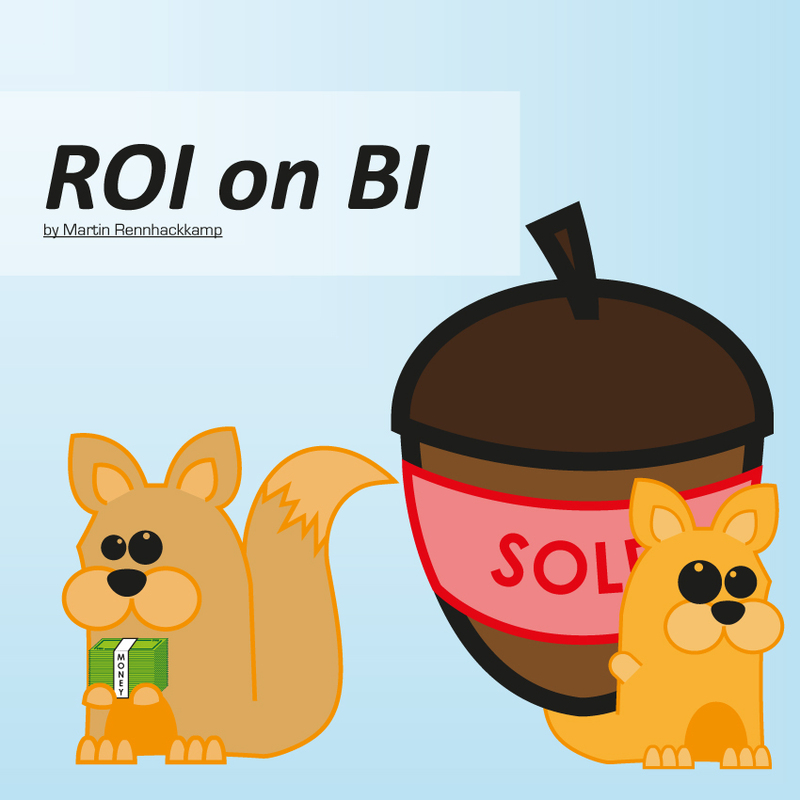 In my next post I will discuss the soft ROI on BI.